The phenomenal hit that Netflix produced last year, "Stranger Things", is getting ready to take over the world again soon. Stranger Things Season Two launches Oct. 27, and the Netflix teaser trailer promises that "1984 only gets stranger". Social media is already blowing up on what is going to happen in season two. The TV series totally left the fans hanging at the end of the first season, and so many questions still need to be answered. What happened to Will Byers? Could Will Byers be Season 2's villain? Where is Eleven? And, of course, will Barb make an appearance or get justice in season two. Stranger Things Season Two will be set in the 1980s again, which in the trailer you can tell by the kids "Ghostbusters" costumes. According to the director, season two takes place in 1984 (season one was set in 1983). I'm also hearing in season two that the "weird factor" is much higher than season one, and if that is the case I can't wait for Oct. 27. Don't call me on that day because I will be binge watching season one in the morning and season two at night. In case you didn't know, besides handicapping sports I also enjoy handicapping entertainment odds. I have consulted numerous offshore books and Las Vegas books with my knowledge of entertainment odds. Earlier this year William Hill posted odds on season two but quickly took them down, so I thought I would do my own before Oct. 27. In the final scene of the first season finale the Thessalhydra was explained as a Dungeons and Dragon original. With all of the trailers and new season two poster it looks like maybe Thessalhydra could be the key monster. I'm leaning towards the 'No' here because I see multiple monsters in Season Two. Season one ended with Will in the bathroom and something coming out of him, but they have been really tight lipped about Will's character in season two. Will was abducted by the Demogorgon in season one, and it is now believed that something is not normal with Will or in Will's body. I would be shocked if something is not living in Will's body. Odds that Will is the Thessalhydra? So many outstanding questions are out there when it comes to Will Byers. Is Will the new monster in Stranger Things? Does Will's body really play host to a creature that needs to be killed? If he is the new Demogorgon or Thessalhydra, will Eleven kill him? This is why I can't wait for Oct. 27 and I would bet the 'No' on this prop. How many episodes will go by before we see the return of Eleven? Quickly we found out that Eleven will be back in season two, but the big questions are where is she and when will we see her in season two. The telekinetic cutie appears to have perished after killing the Demogorgon in season one but the finale gave us clues that she is still alive, but it wouldn't shock me to see the creators of the show take their time on brining her back in season two. I have posted four episodes Over/Under on this Eleven betting prop, but I see her coming back in the third episode or the fourth. Season two will have a total of 10 episodes, and for ratings only they will need to show Eleven in more than half. 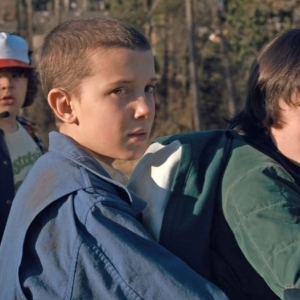 Odds that Season 2 Reveals that Eleven has a Brother? New characters are coming in season two, and it wouldn't shock me to see them add another character like Eleven or give her a sibling. I don't see it happening, but it's a fun-betting prop to talk about around the water cooler. Great proposition and I'm hoping we see five or more seasons, but with Netflix you can never tell. If Stranger Things season two does not live up to the hype like season one then it wouldn't shock me to see only four seasons. After season two we should get a good feel about how many seasons this show has and if the quality is still there. If you were holding out hope to see Barb in season two, I have some bad news to tell you. Barb is 100 percent dead and not coming back alive. Yes, I said alive because the creator of the show said we will see "justice for Barb", and that makes me believe we could see a version of Barb in season two. Remember the last time we saw Barb she had some kind of creature like worm-snake coming out of her mouth, and last time I checked you are pretty much dead in the water with a worm-snake coming out of your body. So yes, justice for Barb will happen but probably not how the fans are hoping. Raphael Esparza is one of the top handicappers in all sports. Esparza is looking for another winning football season and right now Esparza has all his football packages available. Last in College Football Esparza cashed not ONE but TWO 8-Unit College Football Game of the Years and this football season he looks to dominate the gridiron. New clients can take advantage of Doc's no-hassle $60 free picks offer and get Esparza's weekday picks. Click here for $60 worth of free picks .